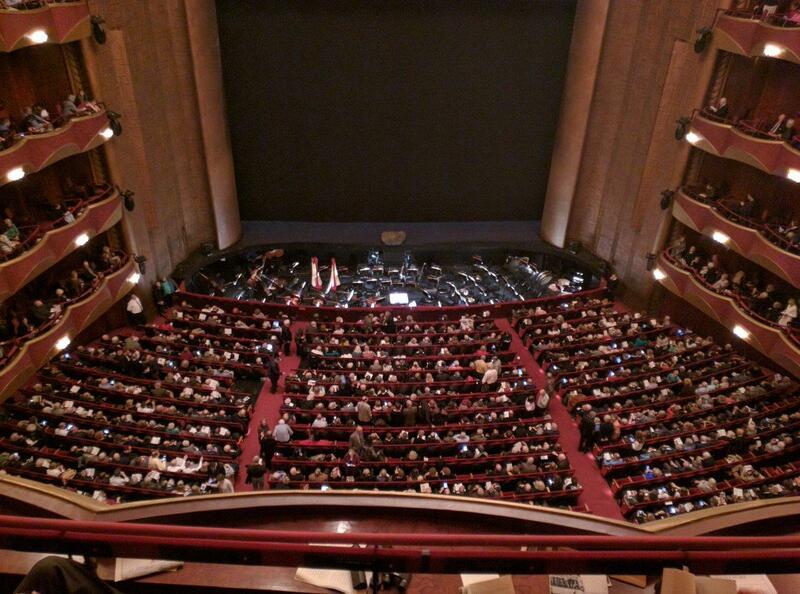 NEW YORK -- Saturday’s performance of “Guillame Tell” at the Metropolitan Opera House was disrupted when an audience member sprinkled an unidentified powdery substance into the orchestra pit. In a news conference Saturday night, investigators said the substance is still being tested but they have reason to believe it may have been someone’s ashes, CBS New York reports. Police were called and the show was cancelled during the second intermission around 5:23 p.m.
John Miller, the New York Police Department’s deputy commissioner in charge of intelligence and counterterrorism, said several audience members said a man told them he was there to sprinkle the ashes of a friend, his mentor in the opera. Investigators said the audience member approached the orchestra pit with a bag and sprinkled the substance in two places. They also said they spoke with some opera goers who reported speaking with someone who expressed interest in spreading the ashes of their mentor inside the theater. “As it seems to be the case, obviously ashes of an opera lovers mentor being sprinkled into the pit, although certainly inconveniencing all of us, is a far cry better than anything else. You know we appreciate opera lovers coming to The Met, we hope that they will not bring ashes with them,” General Manager Peter Gelb said. “The audience was very unhappy, there was whistling, and yelling and screaming, but they had no choice but to leave,” he told CBS New York. Audience members at “Guillaume Tell” described confusion as the intermission went on longer than usual. Baranello, who spoke by phone from a train headed back to Massachusetts, said that’s not so easy for opera fans who don’t live in New York. “It’s too bad because most of the best music in ‘Guillaume Tell’ is in Act 4, in my opinion,” she said.